IgniteUp offers you a wider range of theme templates with various features not only with premium themes but also on free built-in themes. When you buy premium themes from our store you can easily install them to your WordPress site but hope this walk-through will make it more easier to everyone. Have you checked our premium theme store? Do now! Once you purchase the theme you will see a link to download the theme ZIP file which is a separate plugin. 1. Log-in to your WordPress website. 4. There you will see the browse button. Select the zip file you just downloaded and click “Install Now” button. 5. 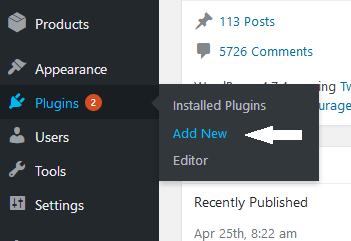 If the uploading went correctly you will see a link to Activate the uploaded plugin. Click on it. 6. 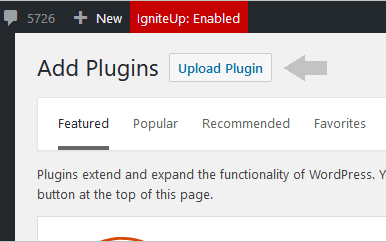 Once the plugin is activated, navigate to IgniteUp -> Templates to view the list of installed themes and you will find your awesome theme there. 7. Click on the “Activate” button at right-bottom of that and it will be applied to your website. If you have any questions feel free to ask us on our support section.